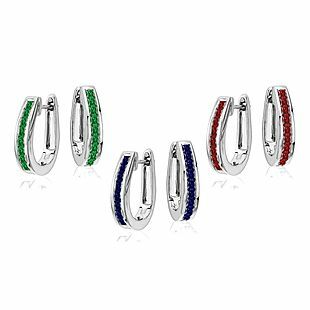 This 3-Pack of Oval Hoop Earrings, originally $169, is on sale for $75 at NYCSterling.com. The price falls to $15 when you enter code SPRINGBRADS80 during checkout. Shipping is free. We couldn't find this deal anywhere else, but similar ones start at $18. Sales tax is charged in most states. These Gold-Plated Earrings, originally $89, are on sale for $40 at NYCSterling.com. The price falls to $8 when you enter code SPRINGBRADS80 during checkout. Shipping is free. We couldn't find this deal anywhere else, but similar ones start at $25. Sales tax is charged in most states. This 2-Pack of Mom Charm Bracelets, originally $100, is on sale for $50 at NYCSterling.com. The price falls to $10 when you enter code SPRINGBRADS80 during checkout. Shipping is free. We couldn't find this deal anywhere else, but similar ones start at $25. This is available in two colors. Sales tax is charged in most states. 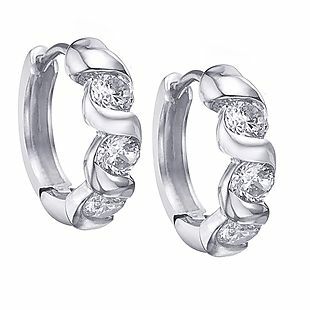 These 9 Pairs of Sterling Silver Earrings, originally $175, are on sale for $100 at NYCSterling.com. The price falls to $20 when you enter code BRADSNYC80 during checkout. Shipping is free. 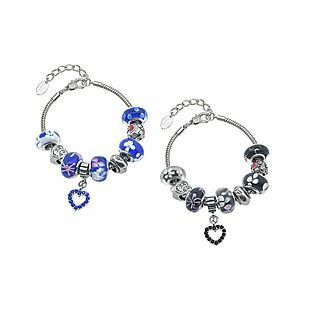 We couldn't find this deal anywhere else, but similar single pairs usually start at $17 each. 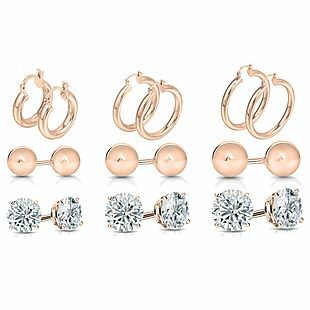 These earrings are plated in rhodium, 14K gold, or 14K rose gold. Sales tax is charged in most states. This Tennis Necklace & Bracelet, originally $249, is on sale for $150 at NYCSterling.com. The price falls to $30 when you enter code BRADSNYC80 during checkout. Shipping is free. We couldn't find this deal anywhere else, but similar sets start at $40. This set is lead- and nickel-free. Sales tax is charged in most states. 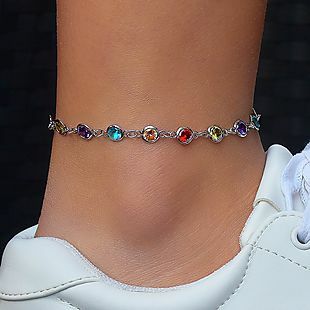 Crystal Rainbow Bezel Anklets from NYCSterling.com drop from $55 to $14 when you enter the code BRADSNYC80 at checkout. Other retailers sell them for $19 shipped. Plus shipping is free. 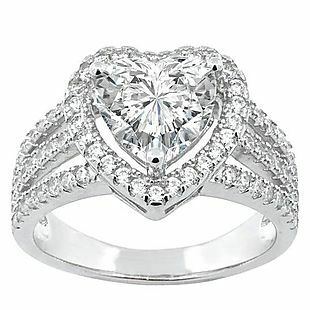 It's plated in 18k white gold and comes in either heart, oval, or round stones. Sales tax is charged in most states. 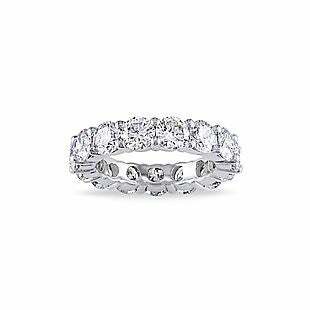 This Eternity Ring from NYCSterling.com drops from $89 to $8 when you enter the code BRADSNYC80 at checkout. This is the best price we can find by $10. Plus shipping is free. 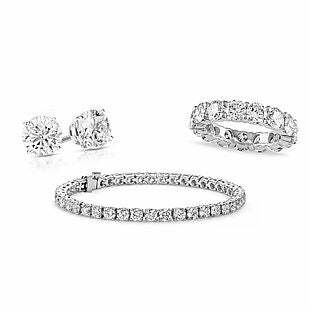 The lead- and nickel-free ring has AAA cubic zirconia stones and comes in three colors. Sales tax is charged in most states. 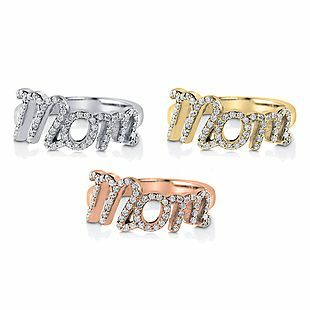 This Mom Script Ring, originally $125, is on sale for $50 at NYCSterling.com. The price falls to $10 when you enter code SPRINGBRADS80 during checkout. Shipping is free. We couldn't find this deal anywhere else, but similar ones start at $15. This is available in sizes 5-9 and comes in multiple colors. Sales tax is charged in most states. This Crystal Heart Ring from NYCSterling.com drops from $60 to $12 when you enter the code BRADSNYC80 at checkout. Other retailers sell this for $17. Plus shipping is free. Plated in 18k white gold, this ring has AAA-quality stones and is lead- and nickel-free. Choose from three colors. Sales tax is charged in most states. This Eternity Ring, Tennis Bracelet, and Stud Set, originally $169, is on sale for $90 at NYCSterling.com. The price falls to $18 when you enter code BRADSNYC80 during checkout. Shipping is free. This is the best price we found by $6. This brass set comes plated in 18K white gold, 14K gold, or 14K rose gold. The ring is available in sizes 5-9. Sales tax is charged in most states. This Crystal Bezel Necklace, originally $149, is on sale for $75 at NYCSterling.com. The price falls to $15 when you enter code BRADSNYC80 during checkout. Shipping is free. We couldn't find this deal anywhere else, but similar ones start at $18. This necklace is gold-plated and comes with a choice of two stone shapes. Sales tax is charged in most states.